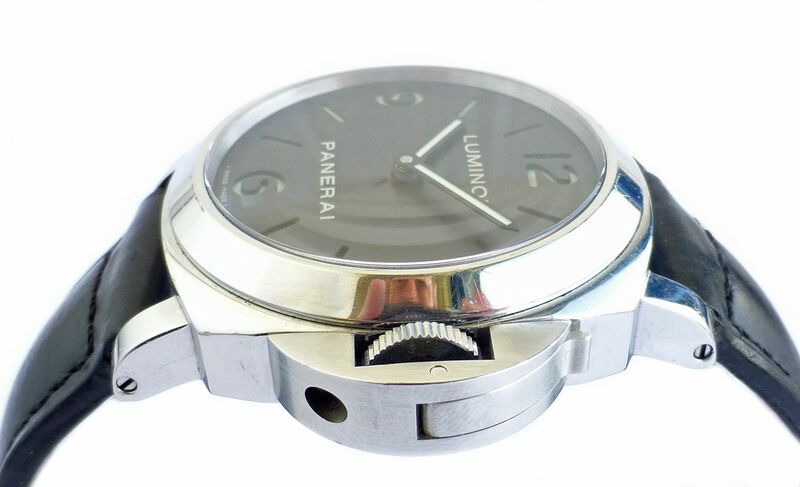 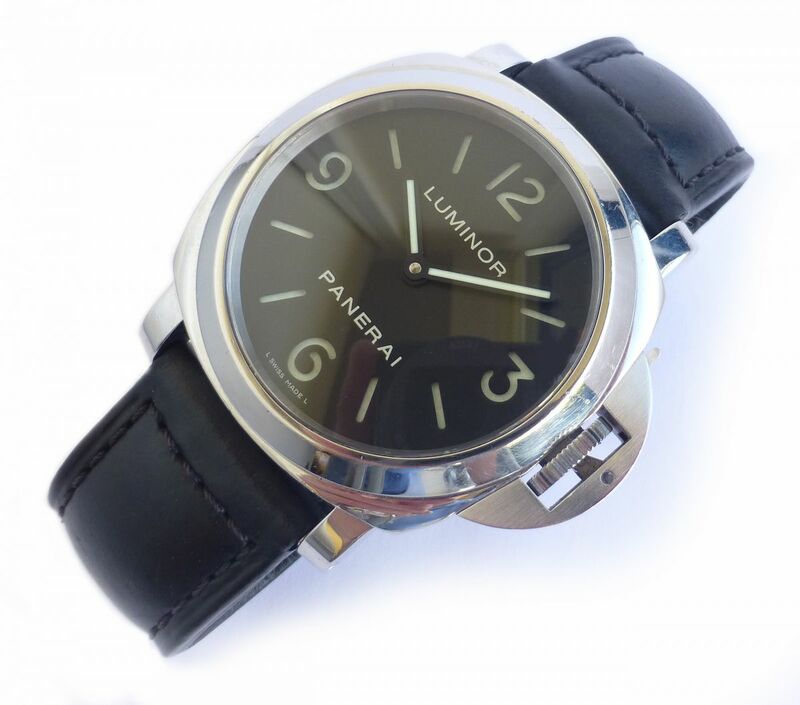 Mint condition hand winding Panerai Luminor PAM 112 with sandwich dial. 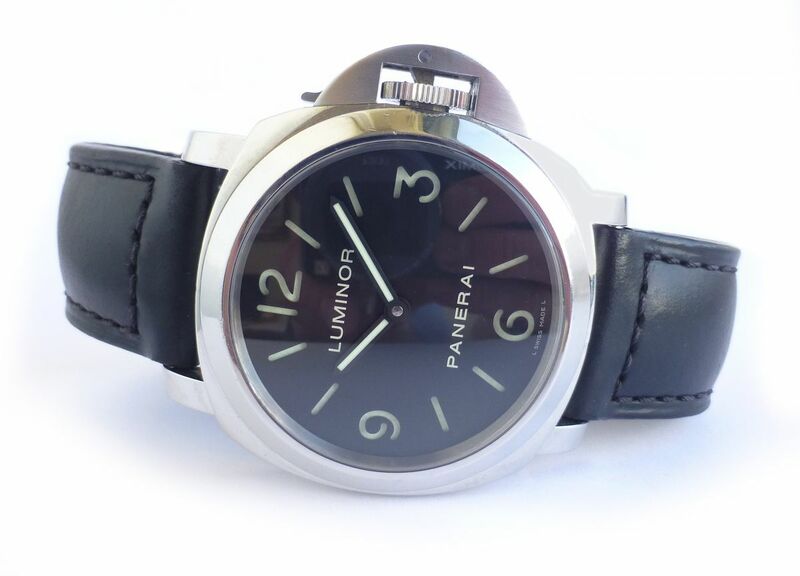 It was originally purchased from authorized Panerai dealers Berry's in Leeds in 2010 and comes complete with box and papers, warranty card, buff outer box and spare bar code labels. 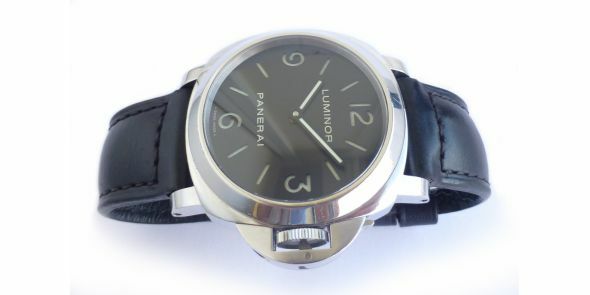 It also comes with the usual rubber strap as well as a mint condition genuine Panerai alligator strap which retail at around £300. 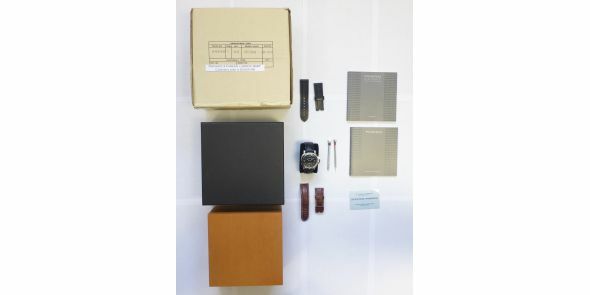 The original screw driver has the tip missing, but comes with a spare screwdriver with the correct size tip. 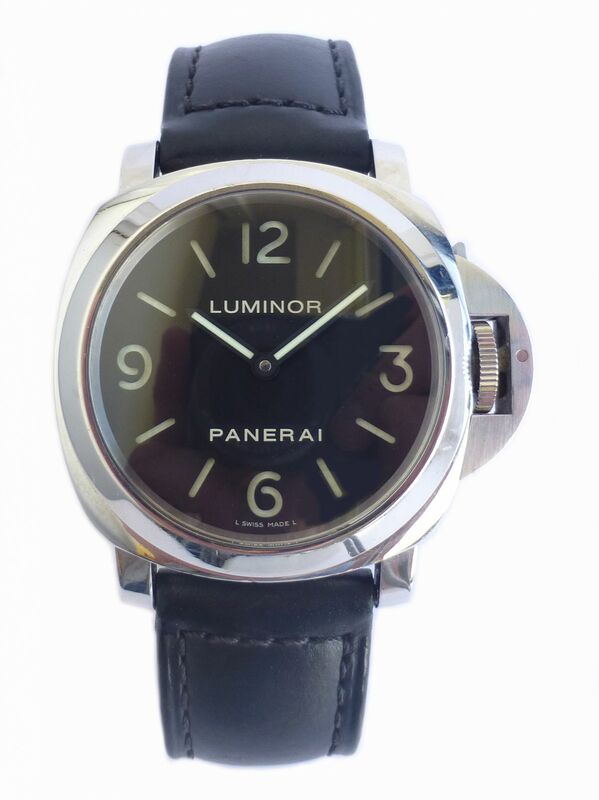 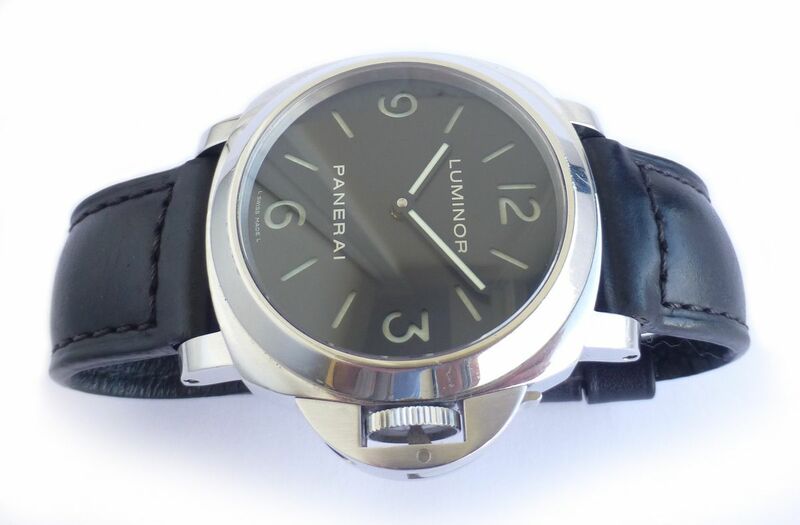 This is the PAM 112 is now discontinued and set to become a rarer and collectible Panerai. 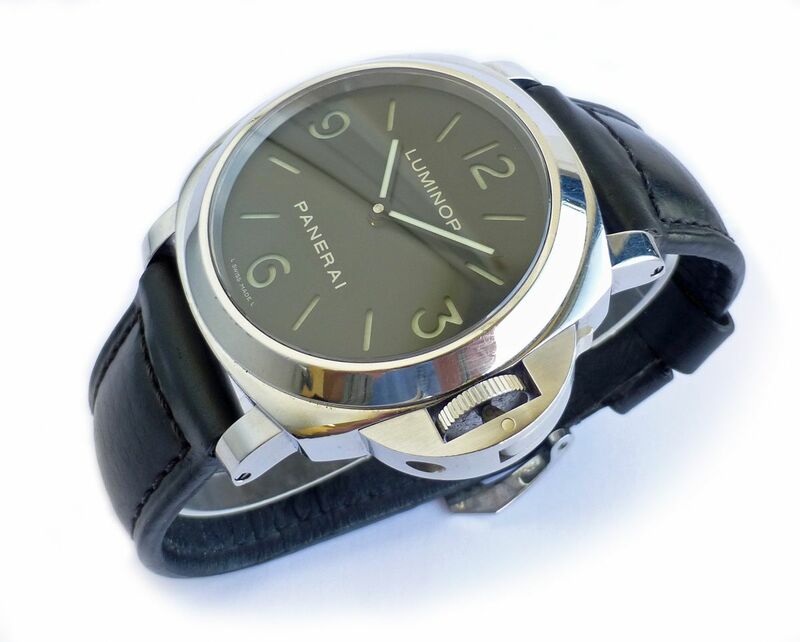 The Panerai is a modern classic with its distinctive case shape and crown locking system. 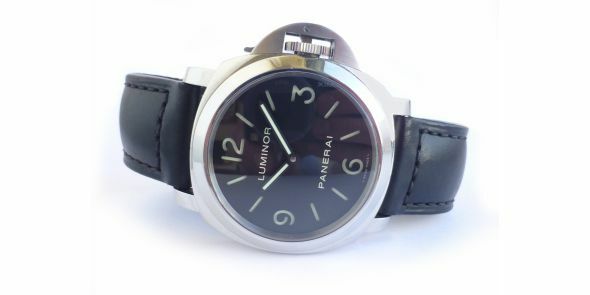 It is built like a tank and to the highest of standards. 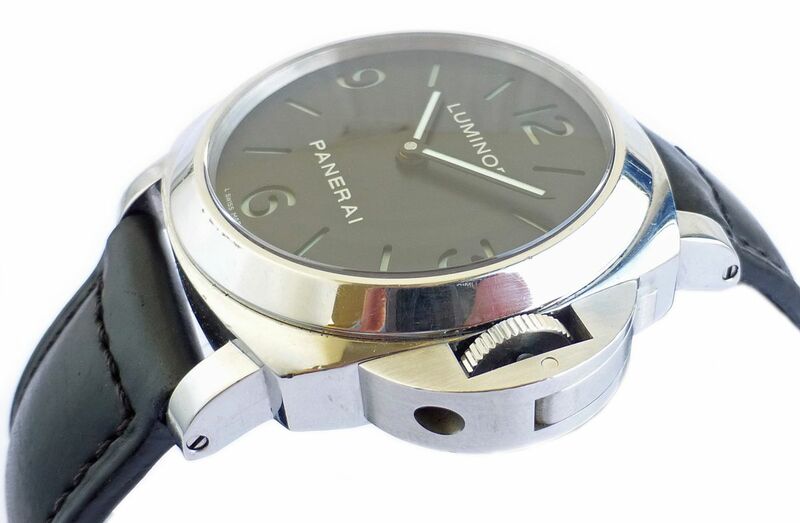 It is a handsome, striking and daring watch, with a great deal of appeal. 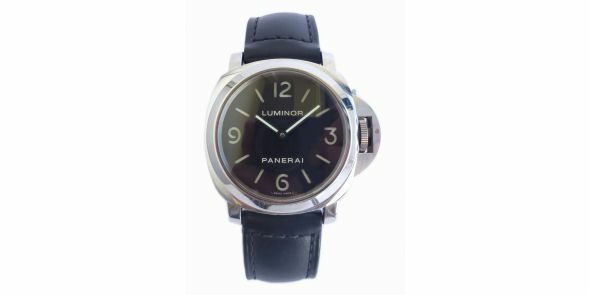 The watch is steeped in history and was used by the Italian war time divers on the 2 man submarines that they rode “horseback” style. 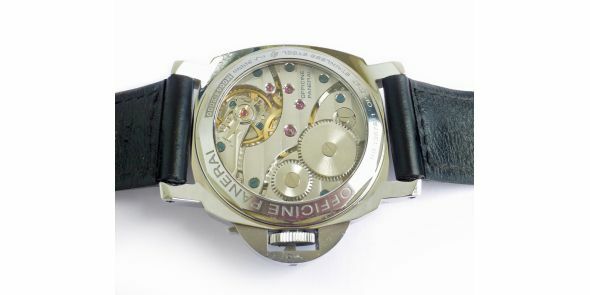 The company still exists today but fortunately making watches for a more passive clientele. 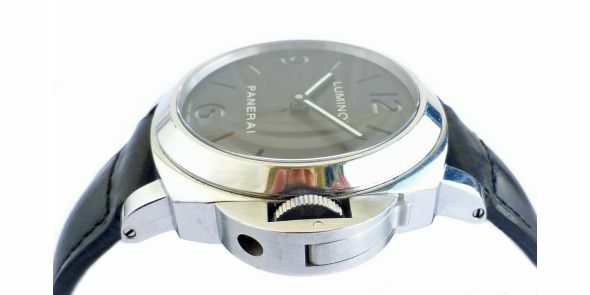 The watch is approximately 2 years old. 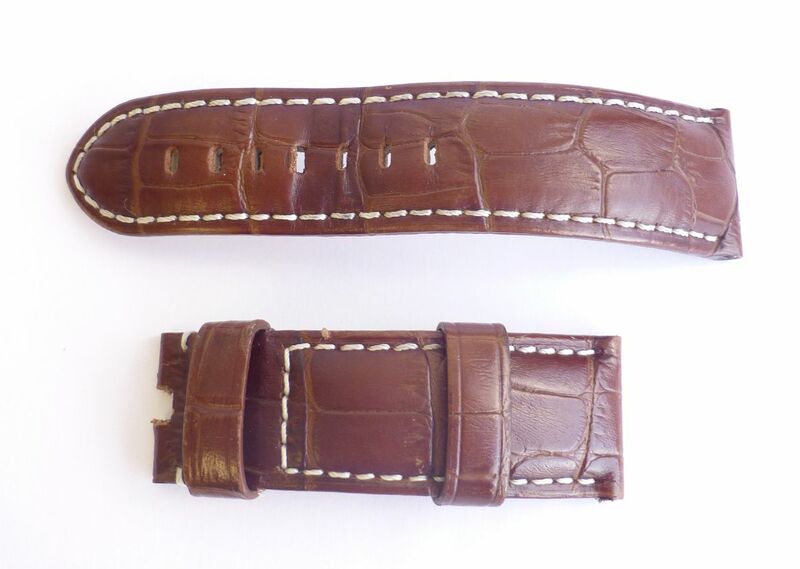 It is the hand wound version and is the more popular large size which is 44 mm across excluding the crown. 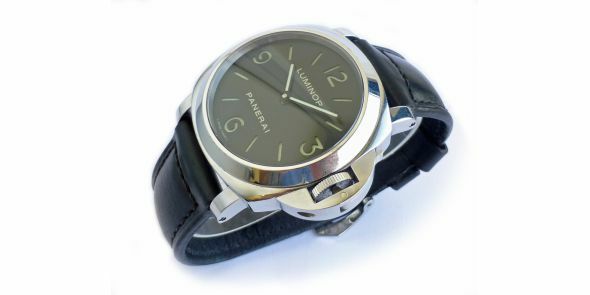 Whilst it is a large watch it is very comfortable to wear and does not feel obtrusive on the wrist. 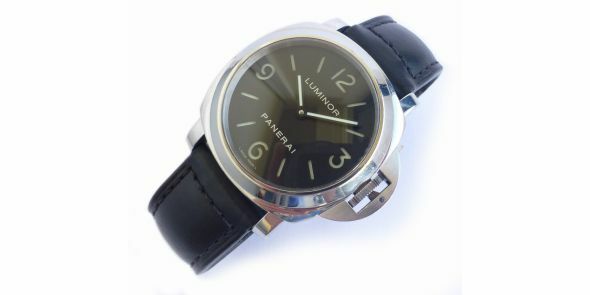 Has a subsidiary second hand at the 9 position. 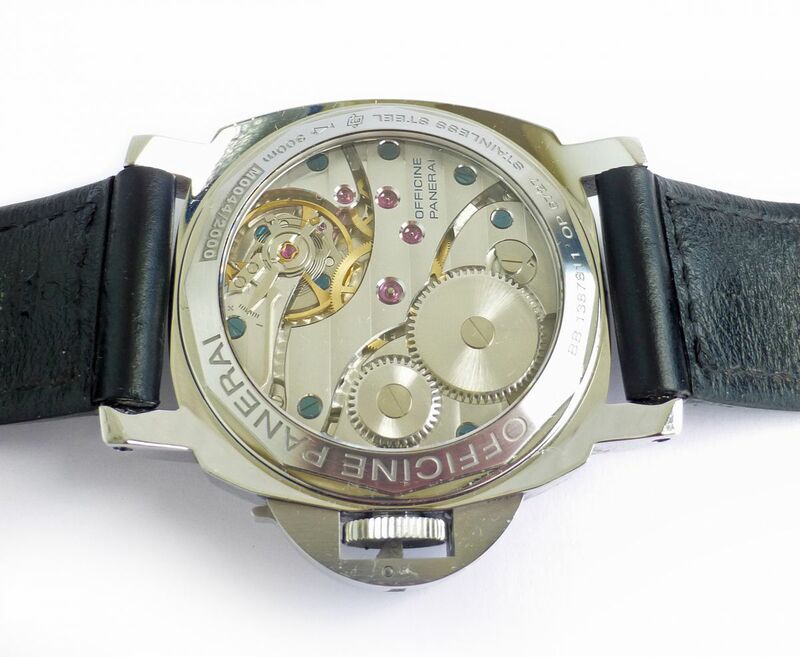 The water resistance comes from the crown clamp, pushing the crown into place. 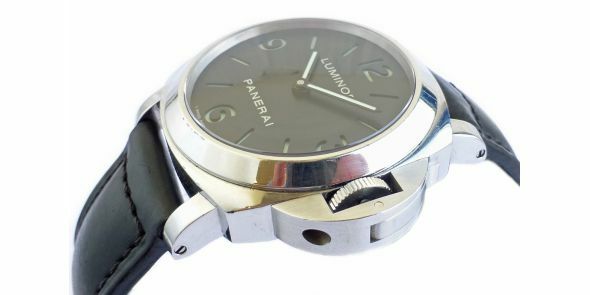 Has a sapphire crystal and is water resistant to 300 metres. 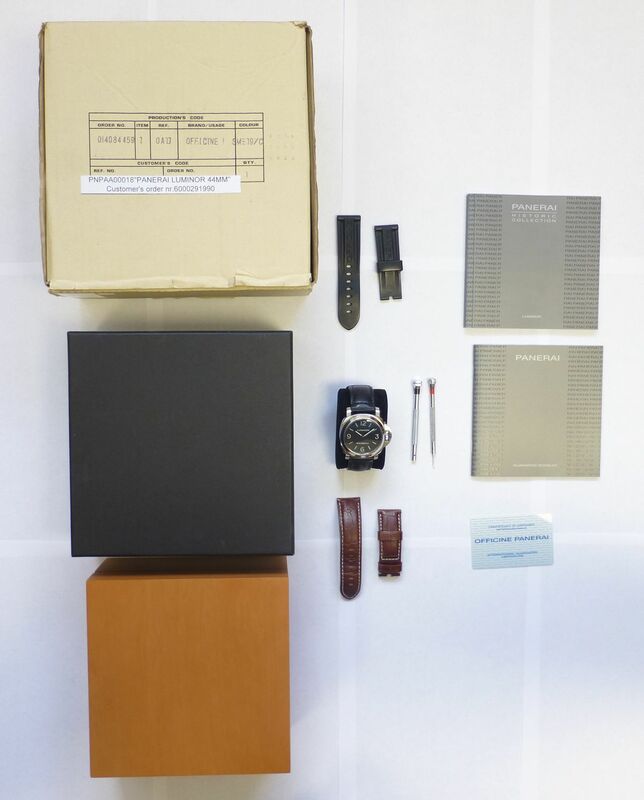 The watch comes with the beautiful wooden box, outer box, original signed leather strap, spare bar code label, original rubber divers strap, strap changing tool, instruction and information booklet, warranty booklet, warranty “credit” card, Please note, the first picture in the sequence is a manufacturer’s image. 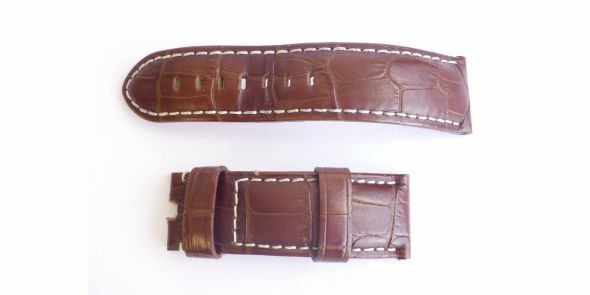 The dimensions are as follows: width is 44 mm excluding crown and 50 mm including crown, Lug to lug is 53 mm, Thickness is 15 mm.